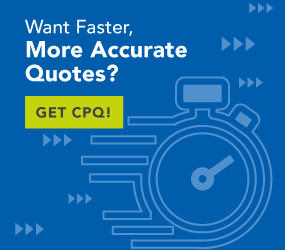 What Are the Advanced Features of a CPQ System? Certain elements associated with usage and security should be maintained within the IT infrastructure. At the same time, administrative functions such as user authorisations, price updates, product information updates and other maintenance functions will need to be available to management and administrative personnel in the field or within the sales organisation and product management groups involved. These individuals are best suited to identify what functionality should be made available to each specific user. They will regulate who authorises discounts and who has access to promotional or country-specific pricing. The system is secure, and the price-related, decision-making process is deliberate and controllable. Utilisation of a business rules engine offers a much cleaner and easier-to-maintain alternative. This will eliminate the endless updates of product and pricing tables and relational restrictions that govern the selection of parts, options and prices. The business rules establish the permitted and prohibited combinations of product, price and customer in context with the inputs that the customer provides. The guided-selling process is facilitated through a scripted interviewing application that initially asks generalised and more open-ended questions. As the buyer supplies answers, follow-up questions are posed that become more focused and precise. Answers to these questions result in recommendations driven by expert knowledge enabled through AI. These take the form of possible options, alternative solutions and other even more specific queries. Configuration-price-quote processes are not standalone functionally within your organisation, and they should not be standalone systemically either. Multi-level bills of material (BOMs) are generated, and the production scheduling system is triggered to marshal the manufacturing processes required to fulfil the order. The days of knocking down the price five percent at close to get the order are long gone. Customers want products that closely align with their individual needs and requirements. Pricing and quoting software, driven by guided selling and robust configuration technology, ensure that the product proposed fulfils the customer’s needs at a price that is equal to the value delivered.